In 2015 Portland Housing Authority (PHA) completed its Strategic Vision Plan for all of its 1,000 units of public housing. PHA has various sites in Portland with under-utilized land and parking lots, and Bayside Anchor was just such a parking lot. Bayside Anchor created a unique partnership between Avesta Housing and the Portland Housing Authority that saw this project as a catalyst for future re-development and re-imagining of hundreds of units of public housing in East Bayside. This project was launched as a winner in a 2013 national competition by Enterprise and Deutche Bank called “Lowering the Cost of Housing.” It was built for the very low cost of $149 per square foot, achieving the maximum affordability points under the State of Maine scoring system. 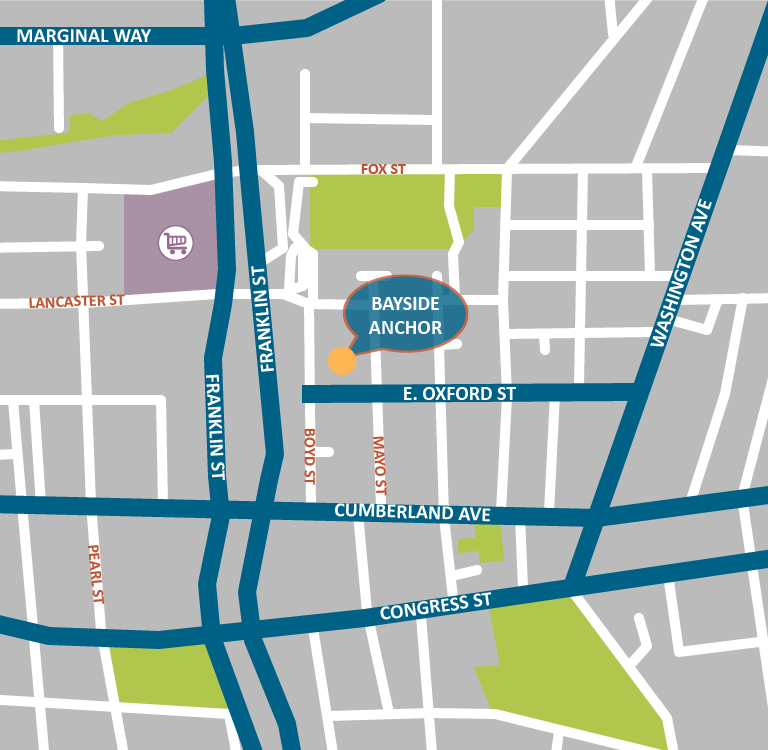 Bayside Anchor is a service hub for low-income residents in East Bayside, giving the project its name as a stabilizing “anchor” for the community. 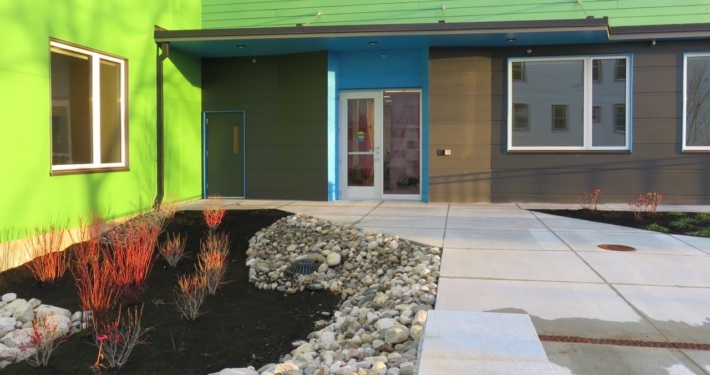 The Portland Housing Authority’s local property management offices were relocated into the first floor of Bayside Anchor, along with a Headstart pre-school and the East Bayside Community Policing Office. Bayside Anchor was built to Passive House standards and received PHIUS+ certification. 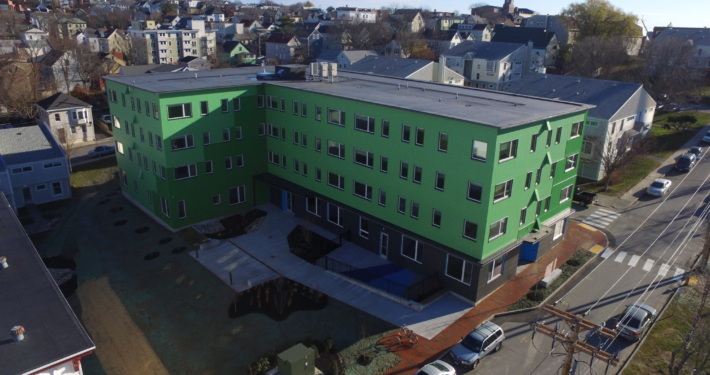 Combining the very low cost target with the ambitious goal of Passive House certification drove the development team to a construction management process and an extremely deep dive into construction details and value engineering. 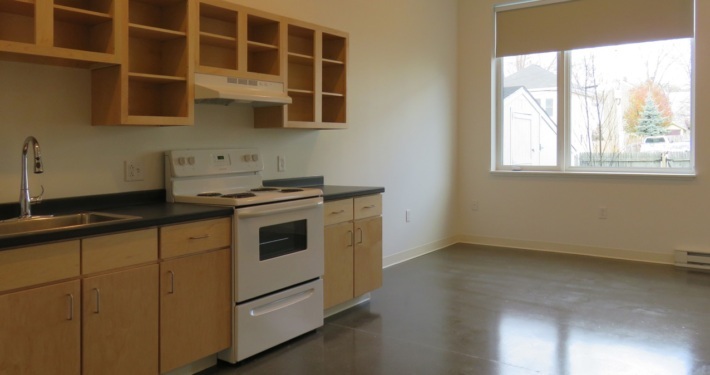 Nine units are subsidized by Portland Housing Authority – residents in these units pay approximately 30% of their income for rent.